You must select which folders you would like to access. 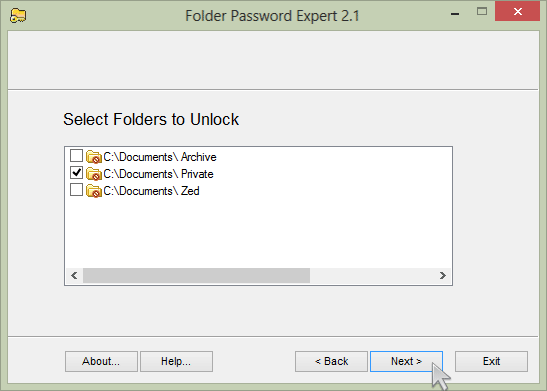 If you select no folders, Folder Password Expert will display an error messages and will not allow you to proceed to the next step. To select a folder, simply click its name. To deselect a folder, uncheck its checkbox. To access the folder, double-click it in the right pane of Windows Explorer (Folder Password Expert must be installed on the machine).